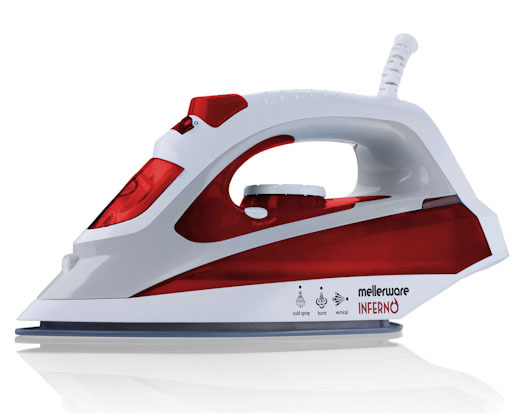 The Mellerware Inferno iron has a ceramic soleplate to glide over your clothes with ease. It has a 300ml water tank and stunning red colour making the Inferno not only stylish but powerful. The powerful steam shot and variable temperature control that you get with the Inferno iron will help you get that seamlessly ironed finish every time.